It's Tramme time once again. 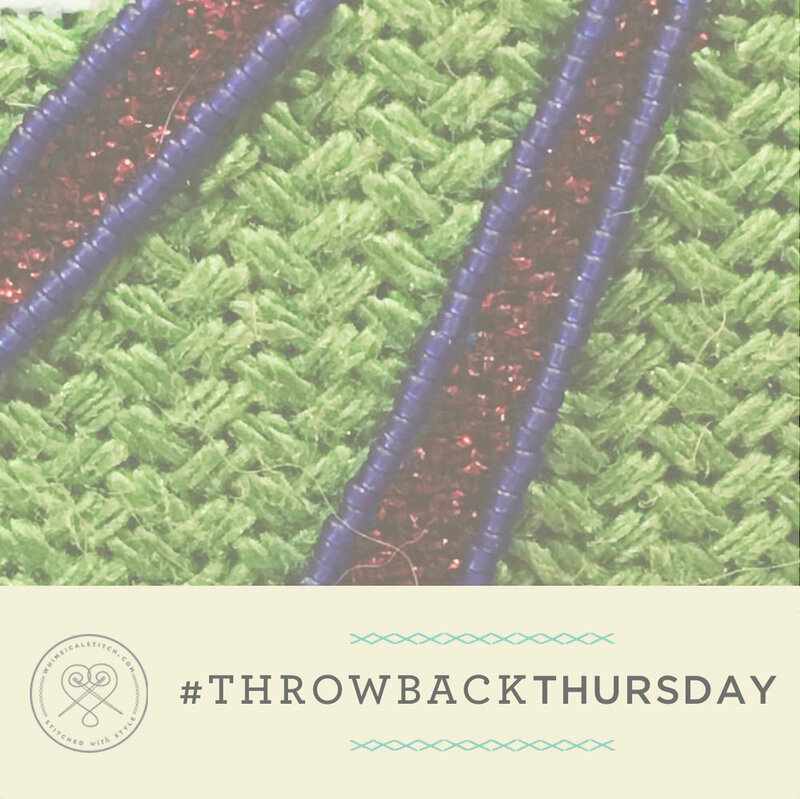 Today's TBT features the Tramme stitch. whimsicalstitch.com turns one year old today! And to honor this momentous occasion, I am thrilled to share whimsicalstitch.com is now old enough to have #TBT! Every other Thursday, I will post a link to a random blog post from the previous year, along with the stitched sample from Instagram (if one exists for that post). These posts will be announced on whimsicalstitch.com's Facebook page and a photo will be posted on Instagram. So, please like whimsicalstitch on Facebook and Instagram! Today's post is a literal throwback to our very first stitch post about Brick Beading. This one is especially appropriate as I was so blog illiterate that I could not insert images into the post. Well, I updated it appropriately and I hope you enjoy! If you are of the mind, would you please complete a survey letting me know how whimsicalstitch.com is doing? Here's the link. I appreciate the feedback!